ISLAMABAD, Dec 20 (APP):Board of Governors of National Education Foundation (NEF) has successfully enrolled 2,342 students under Vocational Schools Project (VSP) and developed vocational curriculum for Class-6 and Class-7. This was disclosed during a 22nd meeting of the Board of Governor of National Education Foundation (NEF). 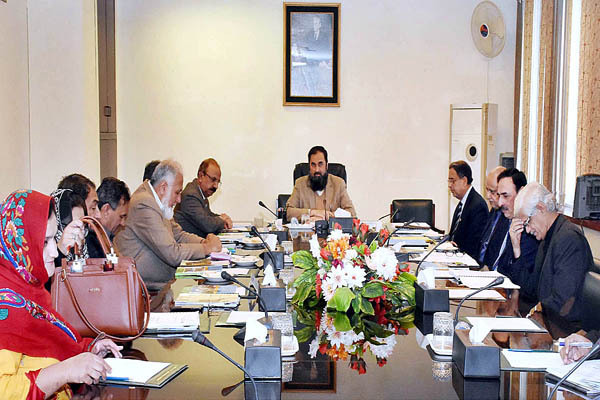 The meeting was chaired by Federal Minister for Education and Professional Training, Engr. Muhammad Baligh Ur Rehman, said a press release issued here on Wednesday. The meeting also discussed Vocational Schools Project and Sustainability of Community Model Schools program. A model book on technical education for class-7 was also presented by NEF in the meeting. Federal Minister for Education and Professional Training, Engr. Muhammad Baligh Ur Rehman appreciated the NEF and said that there was a great need for promoting technical and vocational education in the country.